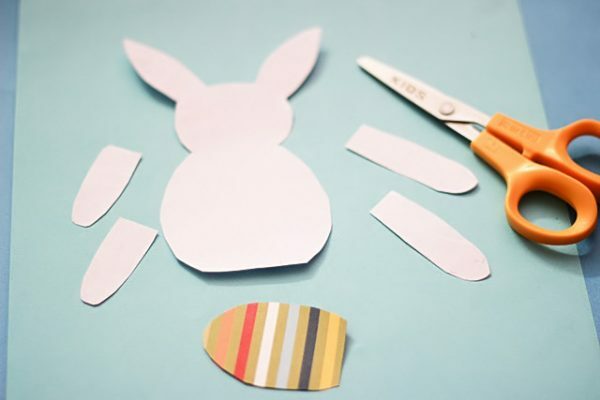 Rabbit craft projects are always fun to play with and these will give you some creative ideas for Easter or for a rainy day. 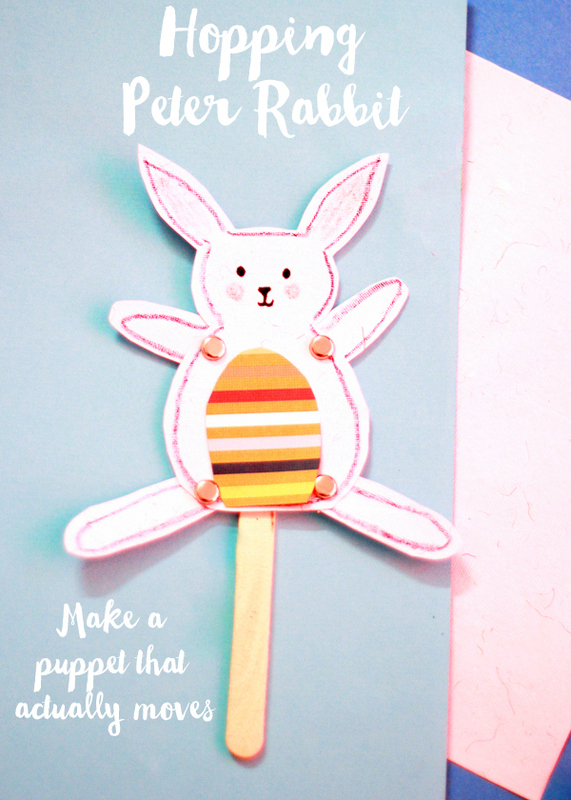 We decided to make these Hopping Peter Rabbit Puppets to celebrate the upcoming International Rabbit Day that’s on 26th of September. My daughter loves bunnies and that includes soft toys, movies and books. “Peter Rabbit” was one of her favorites and so was “Are you my Mother?”. 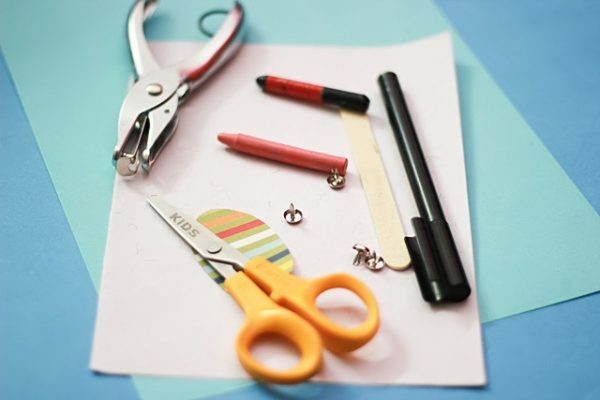 You can make this simple puppet as a prop for storytelling sessions or for pretend play. 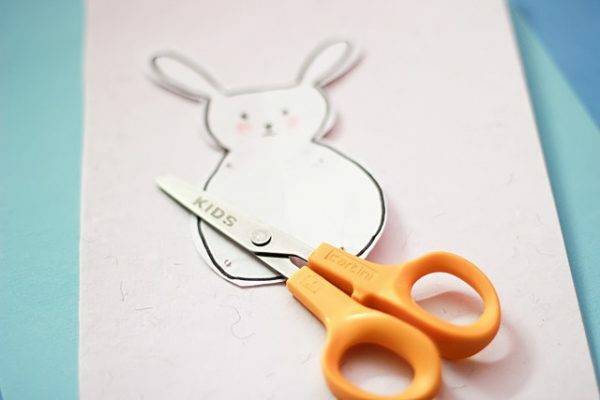 We drew a rabbit without arms and feet on a rough paper and traced the cutout onto our white cardstock. Similarly, We cut out arms & legs for the rabbit. We then cut a small egg shaped piece from our pattern paper scrap that will now form the belly of our Hopping Peter Rabbit Puppet Craft . 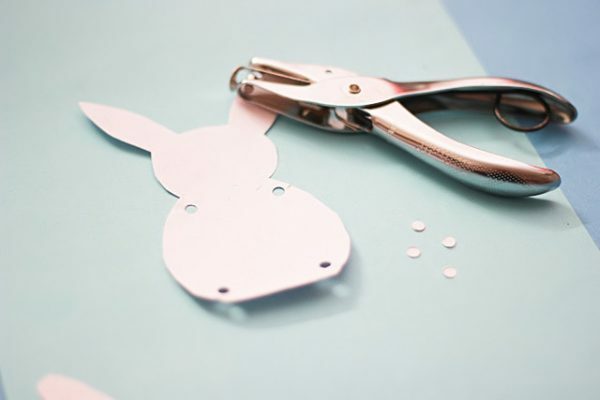 Using a single hole punch, we make 4 holes to fit the arms and legs of the rabbit. Make the holes on the hand & foot cutouts also. Then using a black crayon. trace the outline of the rabbit. This is optional and you can skip it if you like. Use a black marker to draw two cute eyes and a button nose. 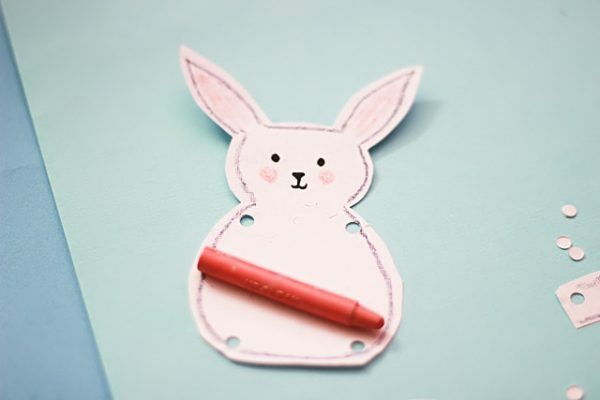 We used a peach (pink) crayon to add blush & some color to the ears of our rabbit .. and that’s it. We are ready to string them all together. Using Brads fix the hands & the feet of the rabbit. Make sure they are loose enough to allow free movement of the limbs. Stick the colored card stock on its belly. 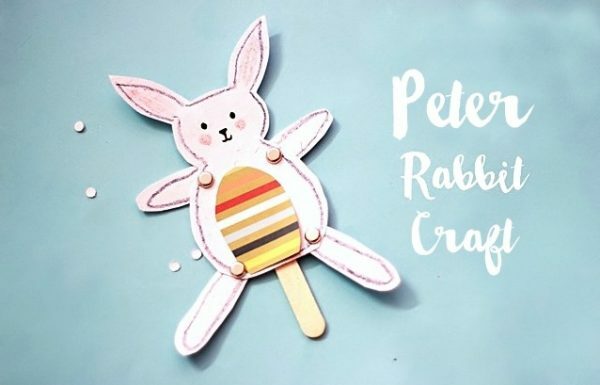 Final step is to attach a craft stick at the back of the rabbit puppet and now, each time your child moves the rabbit up or down the hands and legs will flap and your Peter rabbit will hop.